Hoshang Shah’s Tomb: One of the most refined examples of Afghan architecture – India’s first marble edifice. According to legend Shah Jahan sent his great architects to study the design of the Tomb. Among them was Ustad Hamid, who was also associated with the construction of Taj Mahal. Asharfi Mahal: Located bang opposite of Jami Masjid, in the main market, once also known as madrasa the place is in total ruins now. It was originally build by Mohammed Shah to be used as a school for Islamic studies. Jahaz Mahal: This ship-like structure is situated between two beautiful lakes – Munj Talao & Kapur Talao; looks magnificent during rainy season when the water level rises. Legend says that this was constructed by Ghiyas-ud-din, for his large harem. Rani Roopmati Mahal & Rewa Kund : Roopmati was a strong devotee of Narmada River & she agreed to accompany Baz Bahadur to Mandu only on one condition that she would live in a palace within sight of Narmada River & hence Rani Roopmati’s Pavilion & Rewa Kund were strategically built to serve the purpose. The legend says that the queen could gaze at her paramour’s palace from the hilltop. Baz Bahadur’s Palace: Built by Baz Bahadur in the early 16th century, the palace houses spacious courtyards surrounded by halls and high terraces. The nearest airport is Indore connected by flights from major cities in India. Indore and Ratlam are the nearest railheads connected with different cities in India. 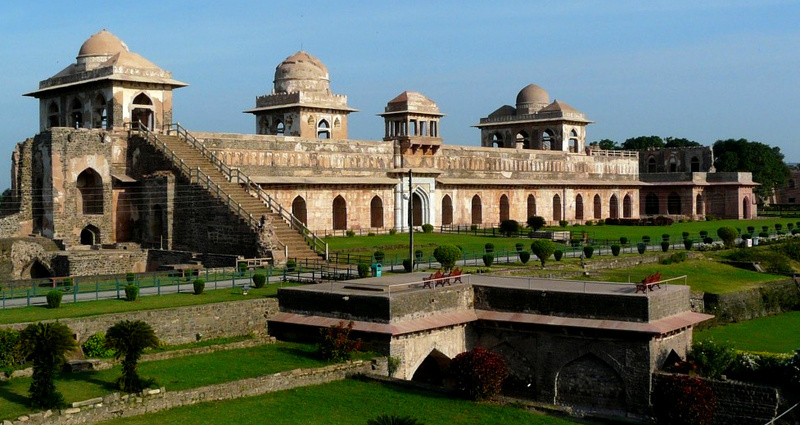 Mandu can be visited anytime during the year but preferred is July – Feb i.e. to avoid scorching summers. Mandu is also in our radar. Do you recommend any nice place for stay? You can stay at Malwa Resort, that’s one decent option. There aren’t lot of staying options as Mandu is closely situated to Indore (it’s an ~1.5 hrs journey), so people generally stay at Indore.